I like to take unique or interesting pictures of anything apple related. 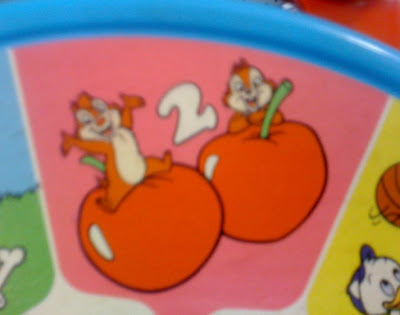 This is Chip & Dale from a Disney See & Say - I saw this at a thrift store. When the handle is pulled Goofy says, " Yuck Yuck, that's Chip and Dale with two apples!" This is a picture I took while stopped a red light. 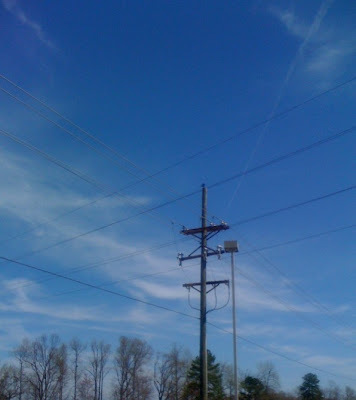 I thought it was interesting the way the contrails from the military jets intersected with the power lines. 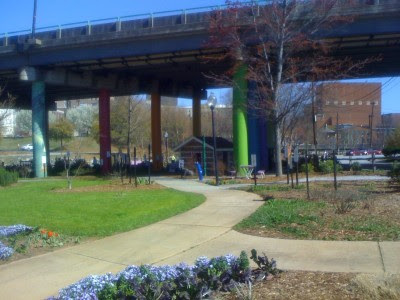 This is a picture of a new park underneath a bridge in my hometown of Greenville South Carolina USA. Each support column for the bridge is painted with a color or mural.